The Rookies is an International Awards for young designers, artists, innovators, and creators. The Awards were established to showcase the finest talent emerging from higher education facilities and launch them into careers at the worlds top studios. The Rookies will run from 7th March 2016 to 24th June 2016. The 2016 Golden Pin Concept Design Award is now open for entries. The competition seeks design concepts inspired by philosophies and ideologies from the huaren (Chinese-speaking) world. The competition is open to submissions from students, professionals, and corporations from around the world, and accepts product and project design concepts in four categories: Product Design, Visual Communication Design, Packaging Design, and Spatial Design. RGD is calling for entries for its first-ever, international In-House Design Awards. This competition has been created to acknowledge and honour the work done by ever-growing creative teams that work as internal agencies. The early bird entry deadline is June 3; and the final deadline is June 24, 2016. A’ Design Award & Competition is open to submissions from entries in 110 categories. Each category has a distinct evaluation and submission criteria. Submissions can be made to Furniture Design, Interiors, Electronic Devices, Architecture, Packaging, Graphic Design, Ready-Made, Jewelry Design, Interfaces, Web Sites, Transportation, Yacht Design and others. View a list of all design award categories and requirements. Presented by SOTA (Society of Typographic Aficionados), the protoType Typeface Design Competition is calling for the most experimental and innovative type designs. The contest aims to promote not only innovative fonts but essentially the speculative ideas behind them, in order to amplify their relevance to future design efforts, enriching the cultural landscape. The selected typefaces will not necessarily be finished products; for the purposes of protoType they essentially serve as vehicles for ideas. Typeface design is living culture. As such it cannot limit itself to being a reliable tool for others to create ground-breaking compositions, it must also mark its own cultural progress in order to stay relevant. A tool must evolve for others to continuously make truly new things with it. A submitted design does not necessarily have to be an installable font, although the practical usability of a typeface may be taken into consideration by the jurors. Poster For Tomorrow announces its 8th annual call for entries for social communication poster designs. The project has been running its yearly contest since2009, and for the last seven years poster for tomorrow has focused on basic human rights, from freedom of expression to the universal right to healthcare. Our Ideas that Matter program provides the funds to put your life-changing designs in motion. Over the past 17 years, we’ve given great designers the funds they need to fuel great change, helping establish over 500 charitable programs — that’s more than $12.5 million toward improving lives and communities worldwide. So, what’s on the docket for year 16? That’s up to you. With an Ideas that Matter grant, you’ll be equipped with the support you need to create a campaign that echoes the concerns and needs of the community you’re most passionate about. 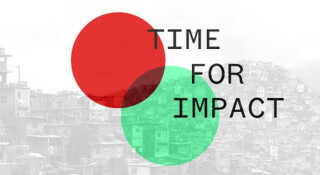 Time For Impact is a an online platform that works as an Architectural Time Bank and Kickstarting Tool, promoting urgent challenges in the built environ-ment that are in need of design expertise, spatial know-how and budget. Cre-ative people from all over the world are invited to pledge their time and know-how to collectively boost socially relevant projects. The 2016 dmi:Design Value Awards are now open for entries. The Awards honor the contributions of those who have delivered significant value through design or design management practices. The dmi:Design Value Awards are distinctive in that they recognize the value of design and design management as a strategic asset: a means to drive innovation, creativity, culture change, agility and revenue. The deadline for submissions is July 13, with a late deadline of July 19, 2016. The main idea behind the festival and the competition is to promote modern art as the form of dialogue with the public and to encourage young artists to create art engaged in the reality. Billboards – the symbol of the modern age consumption – are transformed into an object of consideration, reflection and a deep insight into ourselves and the surrounding. Artists are invited to prepare an artwork in response to this year’s competition theme:Under pressure. How to be yourself in the contemporary oppressive world? The Bench is an idea based design competition open to all ages and backgrounds. The challenge is to design and install a temporary structure on a street to transform the street environment to a form of public space. The competition will unfold in three stages: selection by jury; construction and seasonal use, and an exhibition of entries. The winning entry, selected by the jury, will be constructed for public use during the 2016 Summer/Fall. All entries will be documented and exhibited for public viewing, to generate awareness and discussion about ‘street as public space.’ The organizers of the competition will facilitate ongoing discussions on the topic during the use of The Bench and will seek ways to disseminate it (i.e. donate to a public school/park) at the end of the season. The deadline for registrations is July 20th, 2016. The KOKUYO DESIGN AWARDS is a competition to attract beautifully functional product designs, taking the best of the best to the actual consumer market. 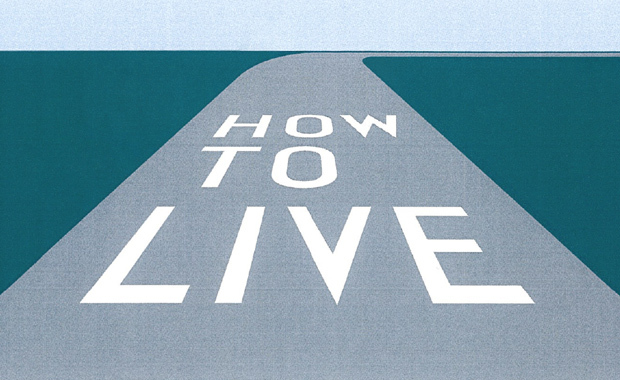 Registrations and submissions are now being accepted from all parts of the world for the Kokuyo Design Awards 2016 international competition, themed “How To Live“. Designs for items used in our everyday lives, such as stationery, furniture or household goods are eligible for submission. BASF Design Competition 2016 Design it. Love it. Live it. BASF and designfabrik have launched a design competition that invites creative minds across Asia Pacific to draw inspiration from their materials and submit innovative design ideas that address the complex challenges and opportunities of urban living. This year’s theme has been influenced by the social impacts of urbanisation which affects our lifestyle – in the homes we live in, the cars we drive, the furniture we own, and the sports we engage in. The question to be answered is what role can design and innovation play to ensure that we are prepared and equipped for this social adaptation? Submissions can range from consumer items (furniture, footwear, apparel, etc) to industrial products (medical devices, construction equipment, etc) or any object that can help societies realise their aspiration of healthier, smarter and sustainable living. Applicants are encouraged to submit innovative designs and unique interpretations that are true to the essence of the theme. The deadline for entries is July 31, 2016. Funded by Warsteiner, the competition offers young artists from all around the world the possibility to gain a foothold in the international art market. The organisers are looking for artists who knowingly work at the interfaces between art and creative industries, whose works blur boundaries of traditional forms of expression. Since its beginning in 2010, BLOOOM Award by Warsteiner emphasizes interdisciplinarity, power of innovation, courage and progressiveness. Visual arts, Design, Urban art or Video – the international art competition focuses on courage, innovation and progressiveness. Art collectives and groups can also apply. The 2016 Morisawa Type Design Competition is now open for entries. The competition is open to any individual, group or nationality. The deadline for submissions is July 31, 2016. HOW International Design Awards recognizes excellence on a global scale. Our international design competition is the only competition that prominently recognizes winners in its award-winning magazine – HOW Magazine. The Best of Show Winner and Outstanding Achievement winners are featured in an issue that showcases the award-winning designs and designers alike. Winners span the globe and give readers of HOW magazine a taste of design innovation on an international design scale. The main category for 2016 Taipei International Design Award is “Excellence in Design” and sub categories are: “Industrial Design, Visual Communication Design, Public Space Design” . The focus of 2016 Taipei International Design Award is not clearly stated, perhaps it is as the name suggests. and some keywords are: ” Space, Industrial, Visual Communication, design, award “. 2016 Taipei International Design Award is a Total Design Competition (Idea + Concept + Product + Service etc) competition. Design Oriented . 2016 Taipei International Design Award targets Everyone around the world are welcomed to participate individually or as a group.. There are no particular restrictions while designing. The deadline for submissions is Aug 12, 2016. Communication Arts has six juried competitions that cover the entire field of visual communications. With winning entries published both in print and online, art and creative directors, graphic designers, Web designers, copywriters, photographers and illustrators find these competitions a priority for worldwide promotion and a valuable resource for potential clients and colleagues. The Wells Art Contemporary Awards is an international open competition for contemporary visual art that is gaining praise and respect in Britain and abroad. It was established five years ago by a group of artists and their friends in Wells, the beautiful cathedral city in the South-West of England. Entries can be in any media, including painting, sculpture, drawing, printmaking, photography, installation and video. There are no size restrictions. Held annually in Sevilla (Spain), the SICAB (International Equestrian Trade Fair) will celebrate this year its 27th anniversary. To celebrate this event the organizer has lunched an International Poster Contest seeking high impact advertising. Stereohype has just launched its 12th annual Button Badge Design Competition and is calling for fresh designs for 2016, coming from any part of the world. Eligible are entries by designers, artists, photographers, illustrators and by students in any of these areas – including runners-up from previous competitions. The Association of Illustrators announced a call for entries for the 2017 Prize for Illustration. This year the theme is ‘Sounds of the City’ – an illustrated interpretation of urban sound. The aim of the competition is to attract artwork for display in an exhibition at London Transport Museum, held from May – September 2017, that is colourful, inspiring and celebrates the sounds heard in the hubbub and quiet spaces of the UK’s vibrant, diverse, multi-layered cities. The competition is open to illustrators and students of illustration throughout the world. The top 100 entries selected by a panel of independent judges will be displayed in the exhibition. The deadline for entries is September 26, 2016. 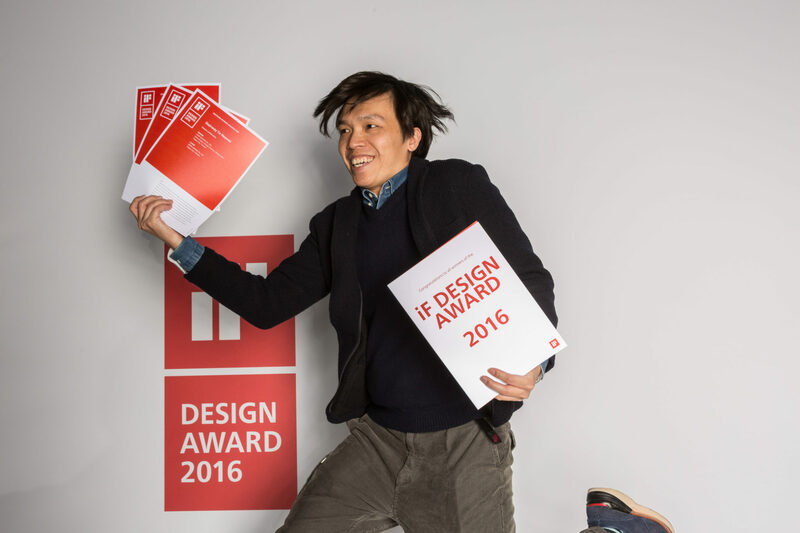 The 2017 iF Design Award is now open for entries. Agencies, architects, designers and companies from all over the world are invited to put their products and services to the test. Categories include product, communication, packaging, architecture, interior architecture, professional concept, and service design. The deadline for registrations is June 30, with a late deadline of October 20, 2016.